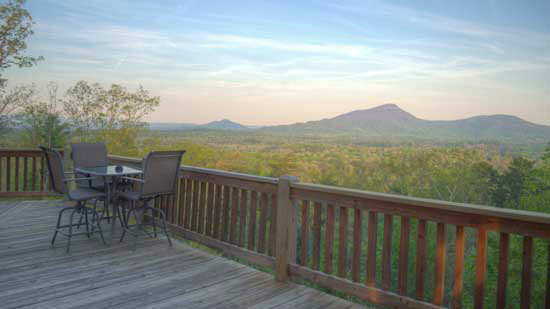 Alpine Escape is the perfect vacation cabin rental for two couples or a small family of 4! 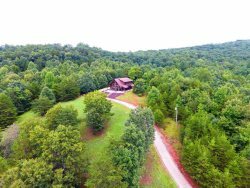 Alpine Escape offers a private, wooded setting just far enough off the beaten path for peace and quiet, yet just 4 miles to Unicoi State Park and 7 miles to the Bavarian village of Alpine Helen GA! The open floor plans offers ample room to stretch out, relax, play and rest, with comfy leather sofas, pool table, and wood burning fireplace! When you're ready to experience the festive nearby towns of Helen and Sautee Nacoochee, you'll find them within minutes of your cabin along Hwy 356. Take in an Oktoberfest, taste some exceptional wine at a local vineyard, or get some exercise on one of the many, many forest trails. Close to Helen, GA, this rustic 2 bedroom with king beds and private baths, is perfect for up to 4 in your family or small group. Included are all the amenities needed for a mountain getaway. Soak your body in the private hot tub as you gaze at the fire in the wood-burning fireplace on the screened in back porch. Or step inside and enjoy the interior wood burning fireplace in a rustic atmosphere -- and simply relax. If you do find that burst of energy, take one of the many nearby scenic trails to a waterfall, or go horseback riding or a Zip Line. Whatever your interest, Alpine Escape is the perfect cabin base for all your adventures! The property was exactly as described, very well maintained and properly equipped. We were very comfortable and enjoyed the property.